Sustainability isn’t a fad. 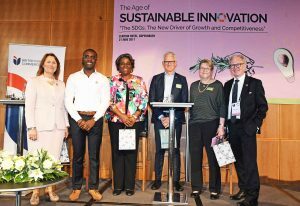 A quick glance at the guest speakers participating in the British Chamber of Commerce Denmark’s event ‘The Age of Sustainable Innovation’ at the Clarion Hotel Copenhagen Airport on June 21 confirms just how seriously the subject is taken. 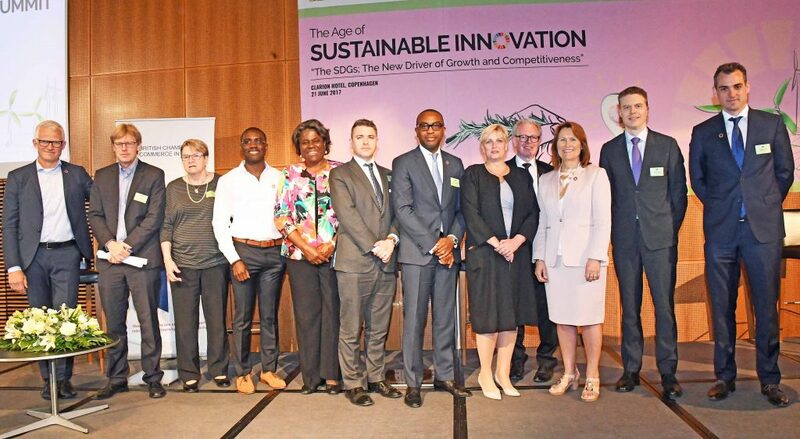 Grundfos chief executive Mads Nipper (below: third from right), Unilever head Paul Polman, Carlsberg chair Flemming Besenbacher and Linda Thomas-Greenfield (third from left), a former assistant US secretary of state, were all in attendance, while Ellen Johnson Sirleaf, the president of Liberia, was a late withdrawal. The list underlines how sustainability has become a cornerstone of the Sustainable Development Goals (SDGs) and arguably the most important issue of the 21st century: to pass this green planet onto future generations with the sense we were decent guardians. 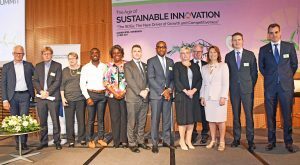 The BCCD conference brought together industry and policy leaders, investors, regulators and consumers to discuss how businesses are leveraging the SDGs to support innovation while ensuring high quality products, safety and comfort for consumers. Everyone seemed to be talking about the SDGs, which came into effect in January 2016 as an “universal call to action to end poverty, protect the planet and ensure that all people enjoy peace and prosperity”. Sustainable products accounted for 5 percent of the world’s GDP in 2016 and have become increasingly important to the global market. But it goes further than business. 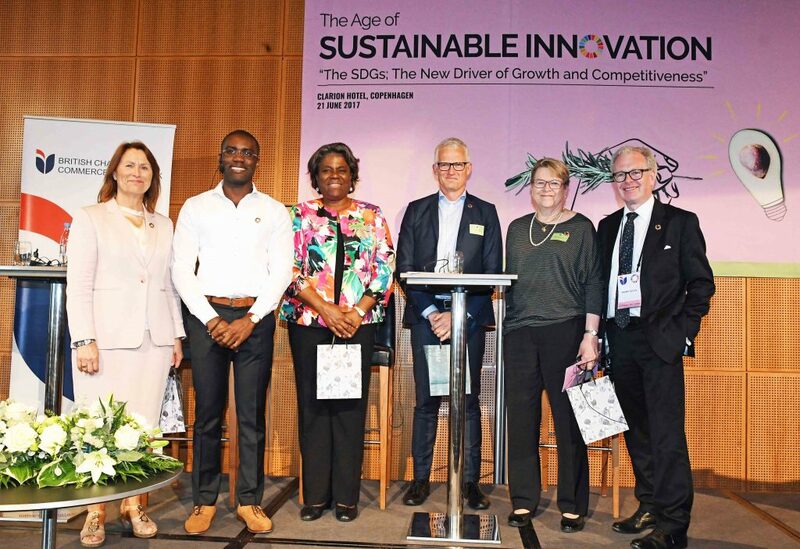 Many argue that the world needs a cultural transition in which all human activities – whether it’s working, playing, eating or shopping – must be done in a sustainable way. How would you be missed? The business world needs to wake up, contends Grundfos head Mads Nipper, who told those gathered that companies will in the future need to treat sustainability as the essence of their business and not as a separate department. “It’s about creating long-term values for all stakeholders – to accomplish something greater than just short-term profit,” he said. Sustainability alongside unpredictability (Brexit, Trump’s election win etc) and digitalisation are the biggest challenges facing businesses today, and a good place for them to start, he suggests, is asking what the world would miss if they were no longer around? The way you answer this question could be to define the future of sustainability, he said. Companies should not restrict themselves to righting their wrongs, but ask how they can perform good. 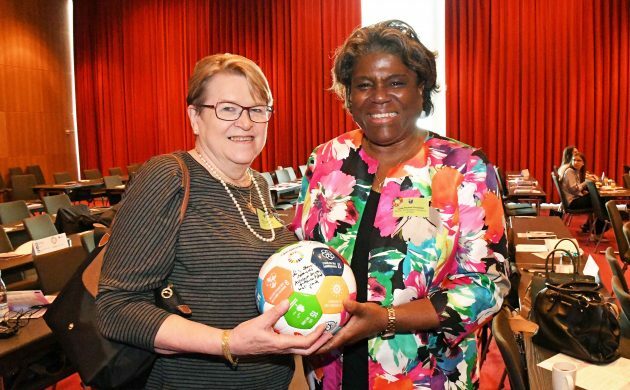 Linda Thomas-Greenfield, a former assistant US secretary of state, was in attendance to enlighten those gathered on the situation in Africa and how the challenges the continent now faces need to be mitigated to reach the SDGs. “We can’t meet the global challenges ‘of sustainability’ without Africa,” she said. The youth of Africa is the future and needs opportunities: education, jobs, she continued, underlining how they are eager to get them and to learn. That’s why she sees an optimistic future in the continent and great potential due to their vast natural resources. “Everyone can play a role in making this successful,” she enthused.